Blohm + Voss has built several of the Middle East’s iconic vessels, including Golden Odyssey. 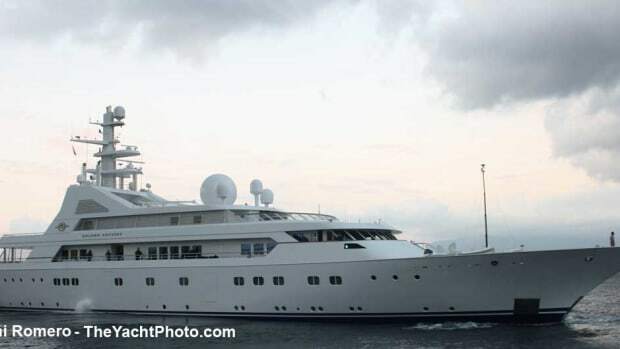 Saudi Prince Khaled Al-Faisal bin Abdul Aziz owns Golden Odyssey, the largest of his “Golden Fleet”. The explorer-style yacht often navigates with the Marco Yachts-built support yacht Golden Shadow, the 98-foot sport fisherman Golden Osprey, and the Golden Eye Cessna 280 seaplane equipped with Wipaire floats.